Brass Brooches There are 8 products. 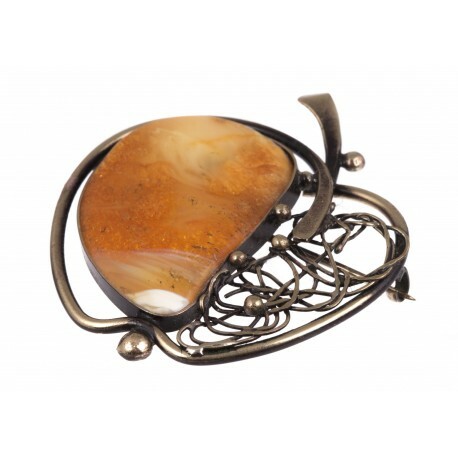 Magnificent quality author's brass and Baltic amber brooches. Baltic people wore a lot of brass jewelry. It was believed that this metal not only protected from the bad energy, but also had healing powers. 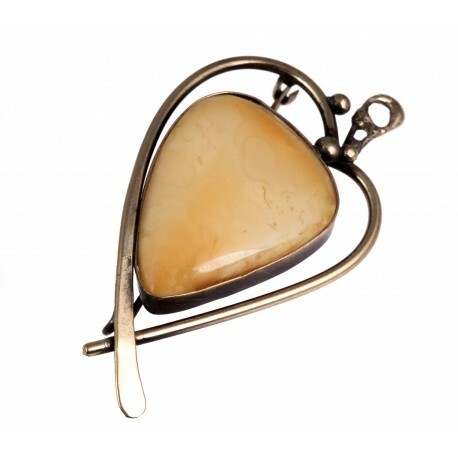 Brass' brooches made of brass threads and glossy pieces of amber, offers not only an effective protection from heart diseases, bad thoughts, but also is very gorgeous. Brass Brooch - "Amber Drop"
Honey colored amber piece covered with brass thread. 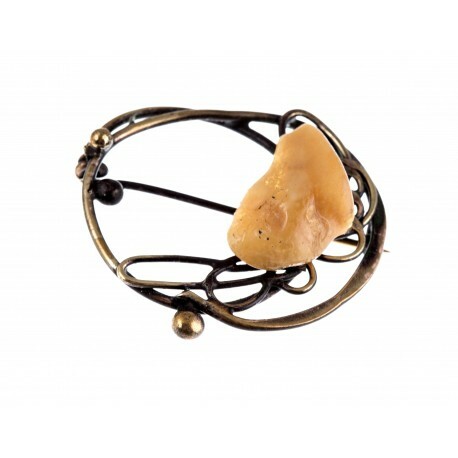 Minimalistic, brass brooch with lemon-color Baltic amber. 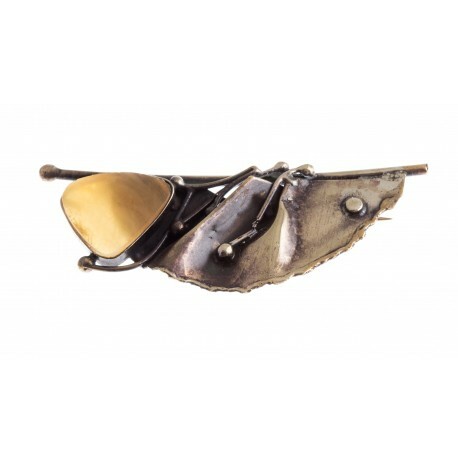 Unique-design brass brooch which won't let You forget the days of a warm summer. 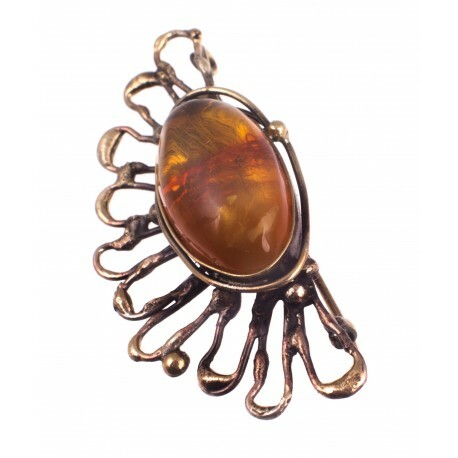 Brass brooch with amber "An Apple"
Brown amber is like laid down into the soft brass feather-bed. Simple, original, attracts by their warmth that is spread by the cosy amber reflections. 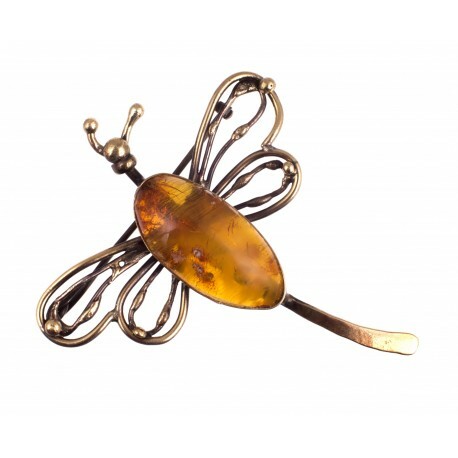 Brass brooch, decorated with clie brown amber - dragonfly. 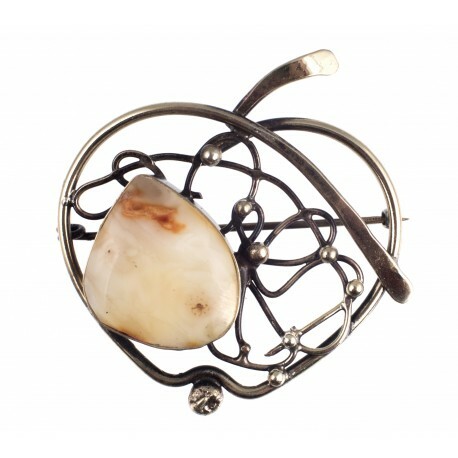 Brass brooch made of twisted threads "Apple"
Brass brooch with transparent, white color amber. Brass threads, forming a coherent harmony which reminds of tree branches. 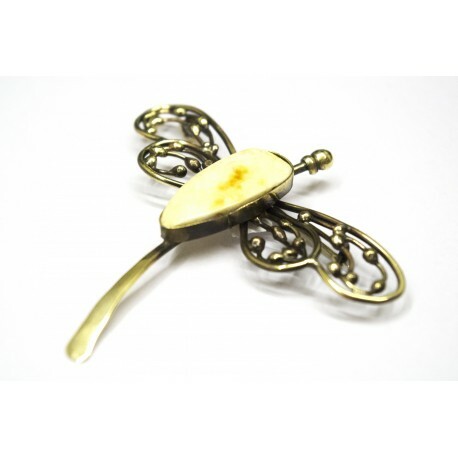 Brass brooch, decorated with white amber - dragonfly.